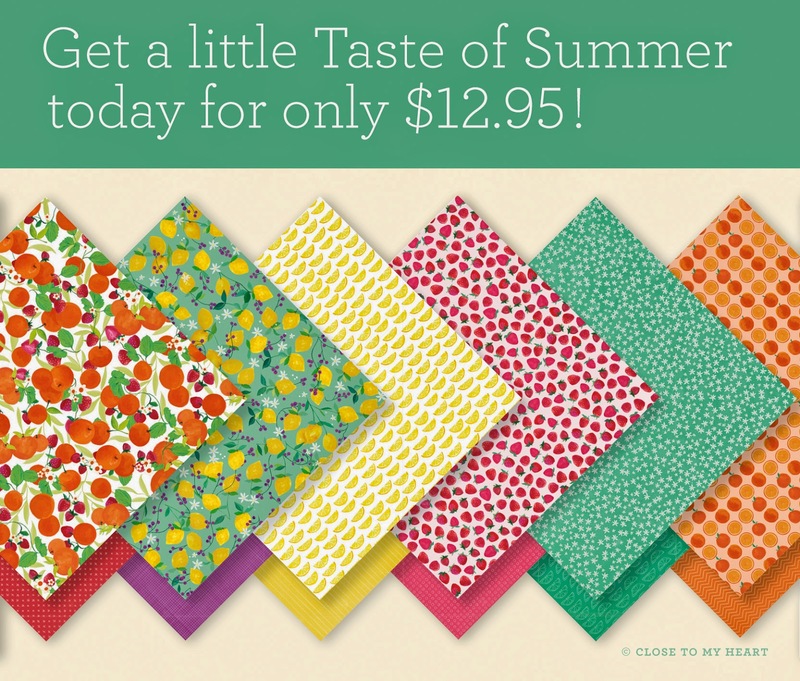 Taste of Summer is the exclusive paper pack for our National Scrapbooking Month - starting 1st May through the whole month, be sure to order your papers and exclusive Taste of Summer Stamp ! 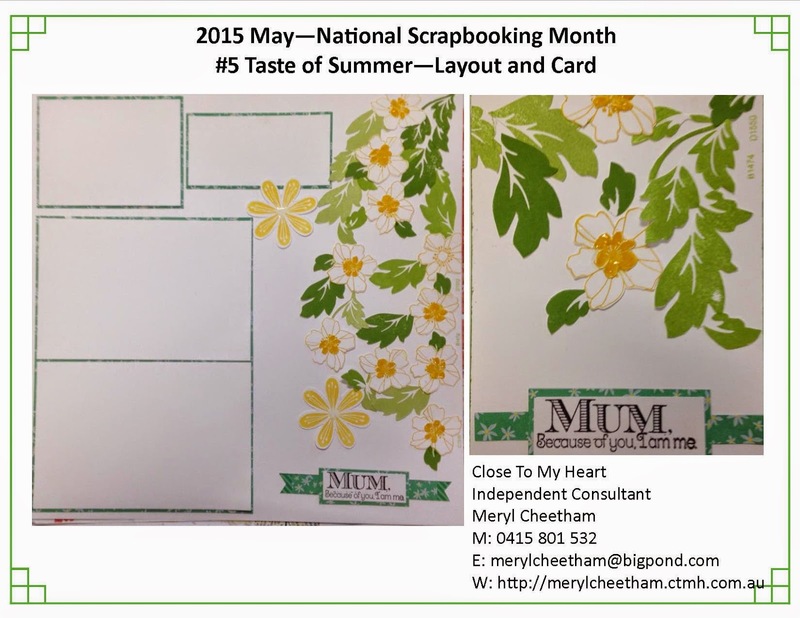 Here are some Single Page Layout ideas with matching cards I've been busy creating over the past week. Hope you like them! 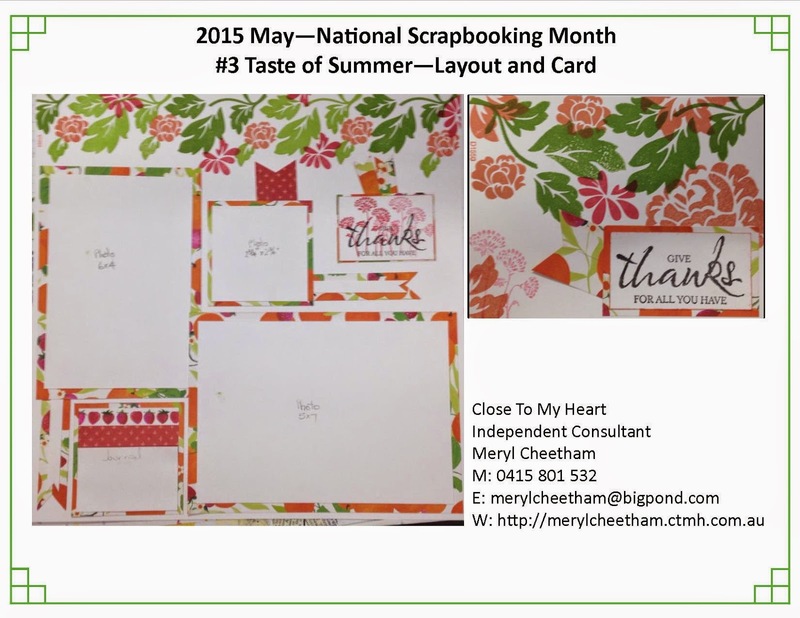 You are welcome to schedule your very own event with your Crafting friends to be held in May! Contact Mez for more information! 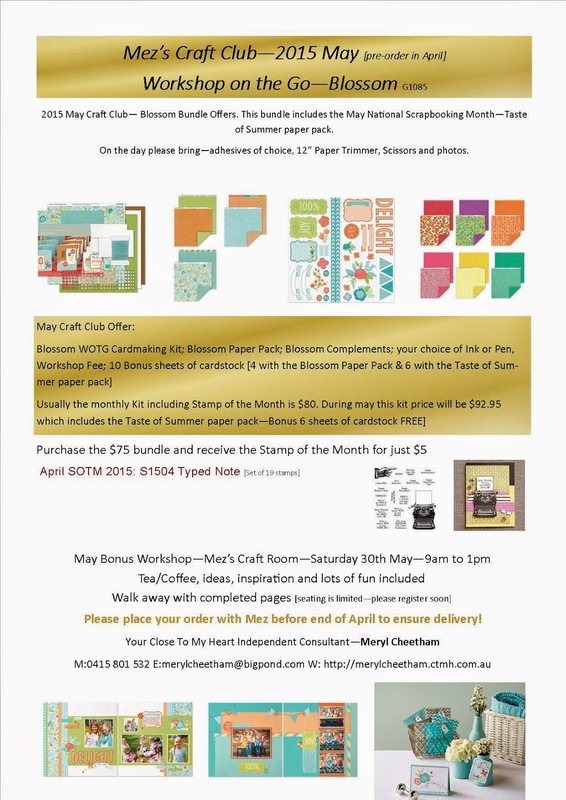 The craft club is a great way for you to keep up with your Scrapbooking projects while receiving the latest papers, complements, and layout ideas! 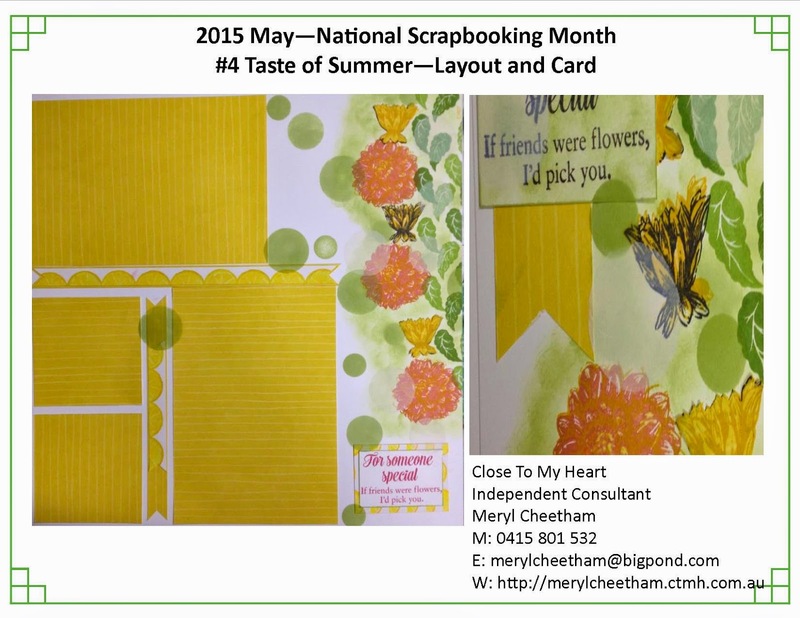 The BONUS cardstock will complement the paper packs! 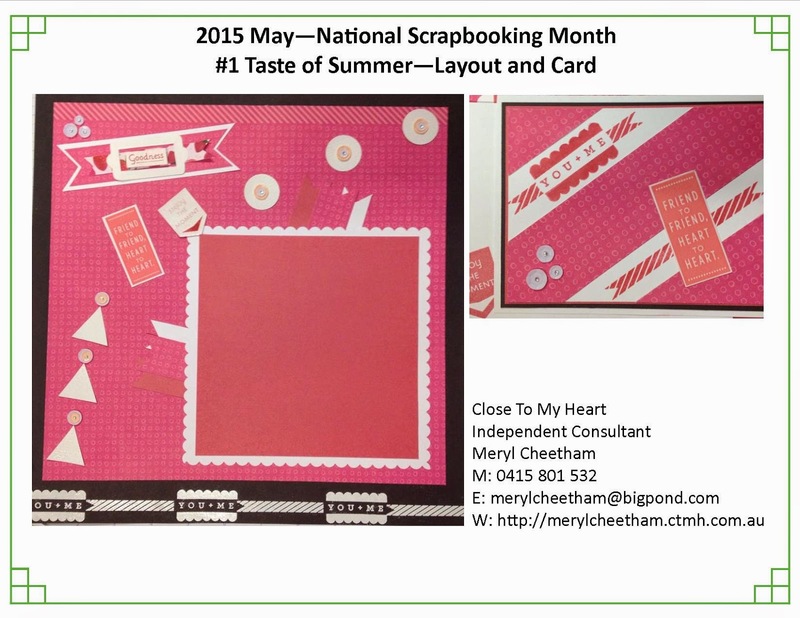 Blossom is a Cardmaking Kit - yet you are welcome to use the kit to create Scrapbooking Laytouts as well as some cards! 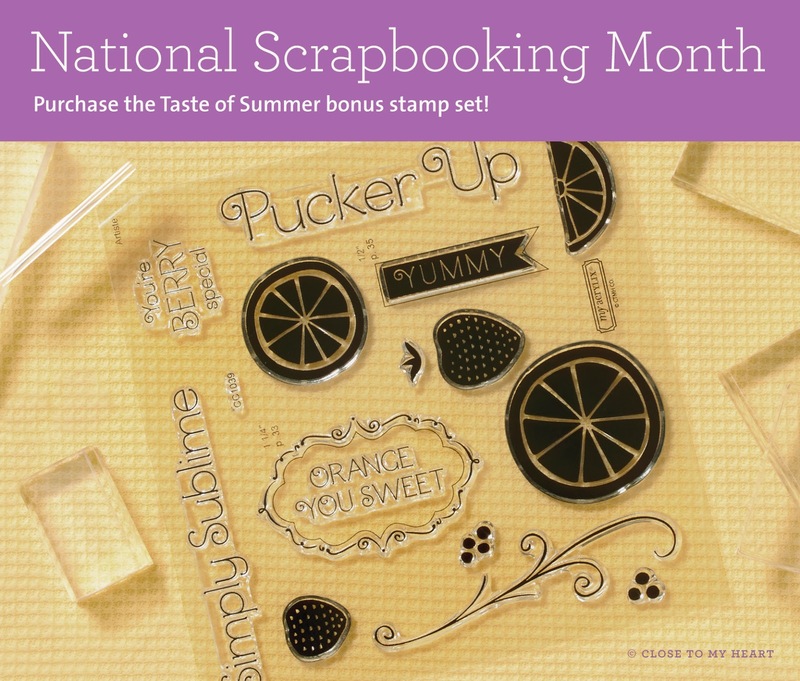 15 Card Blanks are included in the kit as well as a D Size stamp set and 2 embellishments! 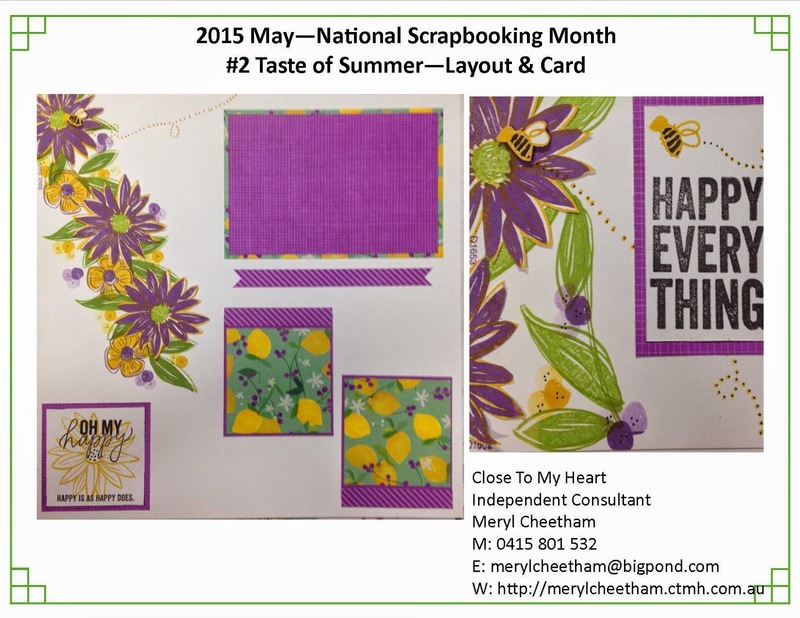 Normally the Craft Club is $75 plus May Stamp of the Month $5 = $80 each month. 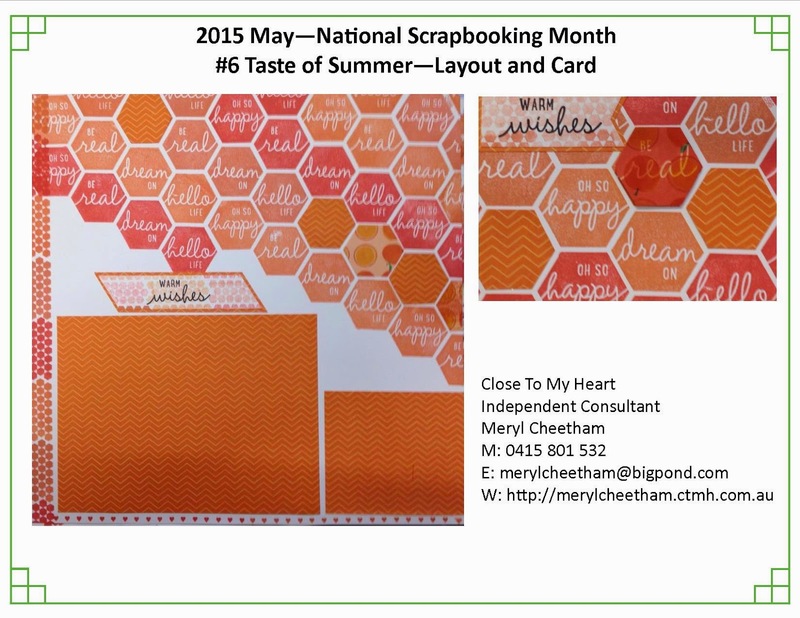 For May I am including the Taste of Summer - National Scrapbooking Month paper pack [$12.95], and 10 BONUS cardstock! Saturday 30th May - 9am to 1pm!